Thanks to you, our customers, for awarding us the Angie’s List Super Service Award again, this time in two categories: Landscaping and Lawn & Yard Work! This award is based on unsolicited customer feedback across a number of key metrics, including quality workmanship, professionalism, punctuality, and responsiveness to customer concerns. In an age where people increasingly research their buying decisions online, we appreciate you taking the time to both share your positive experiences with us and to give us feedback when we could improve. We’re pleased to announce that A Yard & A Half Landscaping has again won the Angie’s List “Super Service Award”. 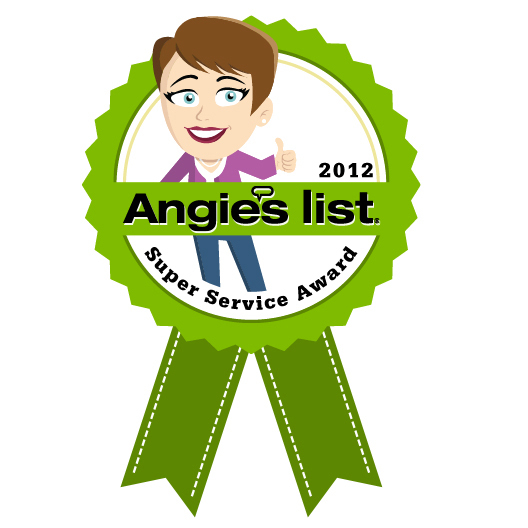 This award recognizes companies who maintain a consistently superior service rating on Angie’s List, a member-based, consumer rating website. According to Angie’s List, winners of this award represent the top 5% of companies in the Boston market. We value this award because we value our customers. Angie’s List ratings come directly from customer experience — companies don’t pay to be listed, nor can they remove negative reviews — and we work hard to ensure that our customers have a great experience with us, whether we’re installing a complete landscape design or providing weekly maintenance. Today, Inc. Magazine and Winning Workplaces announced A Yard & A Half Landscaping as one of their “Top Small Company Workplaces” — the best small- and medium-sized places to work in the nation. “This year’s winners show that the quality of the workplace can be a competitive advantage. I’m amazed at how well they have come through the recession. Clearly, their commitment to their values and people practices are an important part of this success,” said Gaye van den Hombergh, President of Winning Workplaces. We have the distinction of being the smallest of the companies chosen, beating out companies with higher revenues and larger workforces. We received recognition for our open-book management, family-friendly policies, and peer-led bilingual training program. We’ll be sharing more about the work environment at A Yard & A Half throughout the summer. Of 500 entrants for the Winning Workplaces award, the 20 winners also included outdoor gear company Patagonia and the NFL’s New York Jets. Check out coverage of A Yard & A Half and other companies recognized for “smart management and enlightened leadership” in the June issue of Inc.
A Yard & A Half was selected as one of 39 finalists from a pool of 500 applicants. The application process included documentation of employee pay and benefits, development, retention, and workplace culture. Winning Workplaces also conducted confidential interviews with several employees. Award winners will be announced later this month and published in the June issue of Inc.
We’re often called to help pet-owners create dog-friendly and dog-resistant landscapes. Turf Magazine called us for a few tips on landscaping for dogs. Here’s the article, which appeared in the May 2009 issue. A Yard & A Half just completed a pro-bono installation of a design by David McCoy for The Children’s Room, a grief counseling agency for young people. The project, coordinated by COGDesign, made the front page of today’s Waltham’s Daily News Tribune.